Using Military Mail to Ship Packages to APO/FPO Addresses? 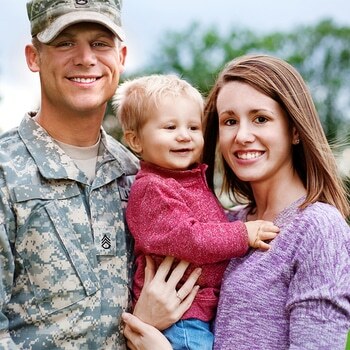 Military Mail is a way for the average person to send mail to men and women serving in the armed forces who are stationed abroad without incurring additional postage fees. People deployed in the military also can use this service to send mail to other members of the military who are abroad for free. Packages can be sent by Military Mail to Army Post Offices (APOs) for people serving in the Army or Air Force and Fleet Post Offices (FPOs) for people serving in the Navy and missions in the water. Military Mail is the only way for a package to get mailed to an APO or FPO. UPS, FedEx and other shipping services aren’t able to send packages to this USPS offshoot. Packages sent by Military Mail must be less than 70 pounds and cannot include perishables, alcohol, firearms or explosive materials. Some APO/FPO addresses have additional restrictions. Arrival time of Military Mail packages depend on the destination of the package or letter. Packages sent through First-Class Mail and Priority Mail typically take between 10 to 15 business days. Priority Mail Express, which is only available to certain destinations, takes 3 to 5 business days and Parcel Select Ground takes about 24 business days. How Does Military Mail Work? “Military Mail” is a general term for the class of mail that is sent to APOs and FPOs, not a class of mail in itself. In order for your Military Mail to arrive to its final destination, you must be careful to address it to the right APO or FPO. The Department of Defense requires all Military Mail packages to include the full name of the soldier, his/her unit, the APO/FPO with a 9-digit zip code and a valid return address. APO/FPO addresses have “AA,” “AE” or “AP” listed where a state normally would be on an address label. The Department of Defense requests that packages only have the address information on one side. While you don’t need to fill out a customs form if you’re sending a letter via Military Mail, you do need to fill this form out if you’re sending a package that weighs more than a pound. You should list everything in your package on the form, as well as its final destination. Your parcel must be given to a USPS employee in order for it to be mailed to an APO/FPO. 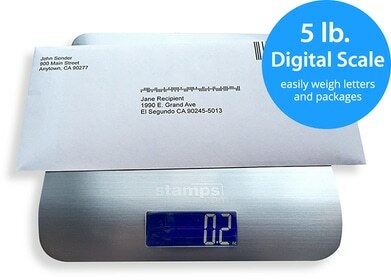 You can do this by visiting the Post Office or scheduling an in-person pickup at your home or business through Stamps.com via the carrier pick-up form. Easily Complete Customs Forms: Stamps.com offers special features for sending letters and packages to recipients in the armed forces. The software allows you to complete customs forms with your computer and print them along with your postage using your home or office printer, rather than having to fill out the form by hand at the Post Office. This feature is great for packages to non-military international destinations, too. Discounts on Priority Mail: Stamps.com also will automatically give you the USPS Military Mail discount for Large Flat-Rate Priority Mail boxes labeled for an APO/FPO destination. The package costs $15.90 to send at retail, which is $2 less than the price for the same package if sent domestically. Stamps.com also will give you an additional discount of $2.10 off the USPS retail rate and free USPS Tracking, for items sent through Priority Mail.